What is an Adventure Worth? Recently I talked about the Dungeon Masters Guild, a way that anyone can self-publish D&D material. The site has been loaded with offerings from gamers and seems to be doing very well. As with 5E itself, it seems to be exceeding WotC’s expectations. My first offering was Howling Void, published on the Guild’s opening day through the Adventurers League. 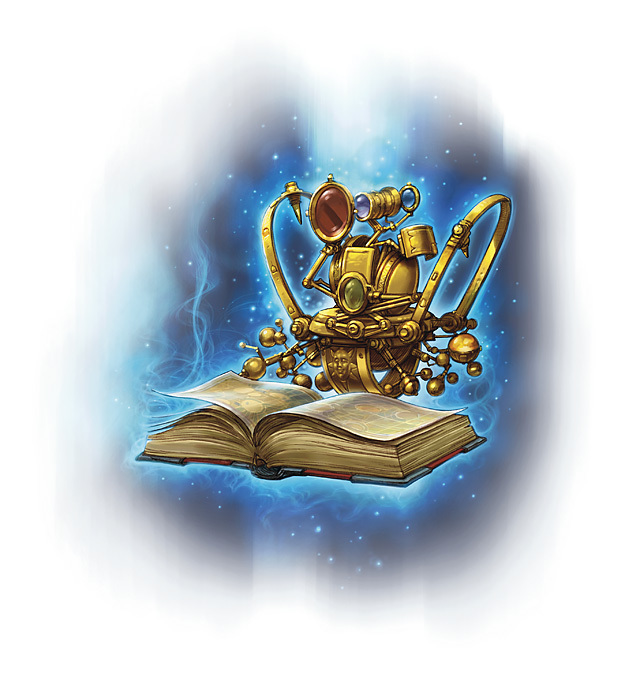 My second offering was the adventure Adamantine Chef: Supreme Challenge, which I published to try and learn what the Guild could do for me as an author. I want to share how the Guild has worked for me. I also want to share the thinking I have gone through as I spoke to authors and customers about these numbers and what it says about the RPG market. Note: You can find my updated DMs Guild sales further in this article. I update on the 15th of each month. How Well did it Work for Me Initially? I’m particularly interested in Adamantine Chef, because I have a number of potential non-AL adventures and other creative products I could offer on the Guild. Are those good numbers? What Does the Market Think? I asked folks on Twitter what they thought of the sales. That’s interesting. More than half feel the sales level is pretty solid. Is it? It depends on the payout vs the effort, right? While this hobby is often said to be a labor of love (because it pays poorly), we still all want to be efficient in what we choose to do. There are different ways to approach the market – the Guild is just one of them. More than half of people see 33 sales and royalties of $82 as good for a 4-hour adventure… what drives that perception, and is that perception valid? What Does it Take to Author? As an organized play admin I saw it time and time again – volunteers underestimated the effort required to write a 4-hour adventure. One out of every seven Ashes of Athas authors quit early in the process without delivering a complete adventure and several others weren’t willing to make the changes we recommended – the effort wore them out and they asked us to finish the work. The skills are many and diverse, from creativity, to grammar, to understanding the game’s math. But as fellow authors shared in talent vs experience, the biggest “skill” may be the willingness to put in the effort to create a great adventure. How long does it take? I asked what gamers thought it takes me to write a 4-hour adventure. New poll: How long do you think it takes me to write a 4-hour adventure? The answer: it took me significantly more than 40 hours to write Adamantine Chef. Nearly one in ten gamers think I could write Adamantine Chef in under 10 hours. A full third thought I could do it in less than 25 hours. And a total of 71% of gamers thought I could do it in 40 hours or less. I had a few authors send me tweets that they couldn’t believe the poll results (seeing them as low). At the same time, I think of myself as an inefficient author. I’m wordy, tend to overthink things, and spend a lot of time refining and perfecting. What is the level of effort for other authors who have done professional work? New poll: If you have written a 4-hr professional-quality adventure for AL or similar, how long did it take you? More than half of the authors are, like me, spending more than 40 hours writing a 4-hour adventure. And 78% are above 26 hours. For example, with Five Deadly Shadows I spent about two hours writing just the tea ceremony encounter, including researching how a tea ceremony works. For several adventures I’ve had 3-10 books open around my desk as I write. Before I wrote Howling Void I read or skimmed nearly every relevant adventure (such as Temple of Elemental Evil and Return to ToEE), in addition to reading the previous two adventures in the trilogy. 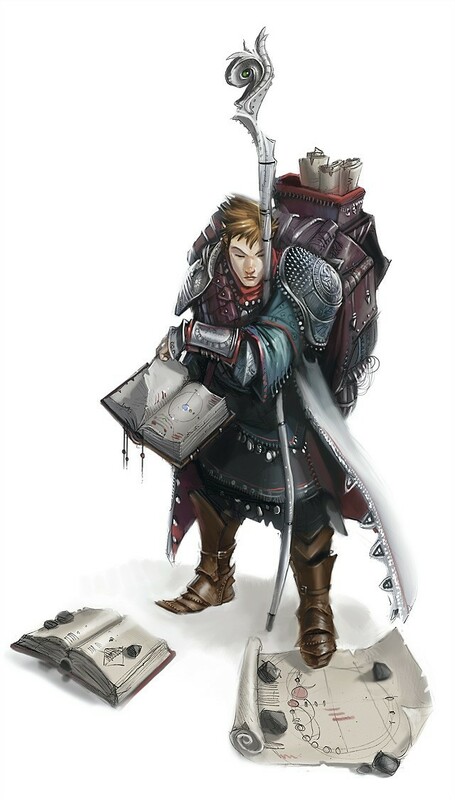 For the Living Forgotten Realms (LFR) adventure Scout’s Honor I rewrote an encounter three times and worked with the map for hours to get the distances between PCs and different monsters just right so the tactical challenge would really work well. I’ve updated this article over time. The key takeaway is that it is a struggle to make money with your own product. On the other hand, if you can land a writing assignment for the D&D Adventurers League, that can pay well. Overall, the actual profit is very low if we consider the cost of our time (and we should). Writing for the AL works nicely due to visibility and sustained demand. A legion of fans will buy your adventure. Game stores, conventions, home play… all of that drives initial sales. The newer seasons do really well. They can hit Electrum (200 sales) within days or weeks and are practically guaranteed to hit Gold (500). Time is also on your side. Fans will seek out older seasons, including DMs running the hardback adventures who may want additional content. Nearly every season 2 AL adventure has become Platinum. Bundle sales help ensure it will happen eventually, so you have a continued revenue source. Writing for yourself is far harder. You can see a sharp drop-off in sales, and it is easy to fall off of any “Hot” or “Most Popular” product lists on the Guild. Even with a good reputation and periodic promotion, it can be hard to sustain sales. The hourly wage is based on an estimate of 60 hours for each adventure (it was likely higher). None of the adventures had art or layout costs. We can see that AL adventures do far better than self-published adventures, and the above disparity becomes greater over time. The hourly return we get is below minimum wage ($7.25 in the US, $11 in WA) for self-published work. It becomes better for Howling Void and exceeds the Washington State minimum wage with The Artifact. Later AL seasons tend to do better, as the popularity and also acceptance of paying is climbing. Adamantine Chef was well below my sales expectations after one year. I thought there would be greater interest in a well-crafted adventure providing a unique (or at least different) experience for the DM and players. It takes me many hours to create a unique adventure like this. $326 is not much to show for my time, and the hourly wage is unrewarding. I have a sound reputation as an adventure writer. Adamantine Chef was one of two Guild products Mike Mearls recommended when asked on Reddit. It has been recommended on Twitter and even on the Dragon Talk official podcast by WotC staff, who have run it several times! James Introcaso recommended it on his podcasts, it has been recommended on the Tome Show, and it has had an actual play recording. Promotion could really not be much better. And yet, sales were not high in the first year… or the second. I could try different models. Yes, AL adventures do make a $4.99 adventure look expensive. A quick scan of the Guild shows that most of the top-selling products are Pay What You Want or $1.00 or less. It would take a lot of sales to make up for a lower price. And, fundamentally, I object to the idea that gamers place such a low value on their entertainment when it comes from RPGs. Gamers that love RPGs want to pay .20 for an adventure, yet they spend far more on movies/Netflix/video games/board games… despite professing to like RPGs far more. At $5, a 4-hour adventure provides an insane value, and for up to 7 people! What about Pay-What-You-Want? Fred Hicks reminded me of this excellent article where he explains Evil Hat’s PWYW strategy and why it works for them. Providing the perspective of a more typical Guild author, Derick Lawson writes about how little PWYW has returned for his efforts: just $1.03 on 184 sales! PWYW is great as a strategy for an entity wanting to draw attention to more profitable offerings. It isn’t a good strategy for the typical Guild author. I can’t properly explain how much each of those quotes means to me. This encouragement is why I keep writing. However, current sales also have an effect on me. Writing more for the Guild will be low on my priority list, beyond something I already have begun writing and will therefore finish. Let me end on an important note. I’m okay. I don’t require these sales to make ends meet. At worst, it just means I can’t reduce my normal work to do more creative RPG work. There are many talented hard-working authors who could really use a great source of supplemental income. If you can, please support them. They deserve us being willing to pay more for the products they make. Similarly, many companies are really a group of people who work second jobs to create RPGs. And, even at the “big” companies, their future is never secure. All of these companies could benefit from a change in how we view the work involved to create our games and the true value of RPG products. The first year is depressing. How do sales look after the first year? In this section I will update my sales over time. I track both the number of sales I get (individual pdf “units”) and the revenue (royalties, which are 50% of the sale price for self-published products and slightly higher for AL adventures). I will update these images shortly after the 15th of each month and update my conclusions periodically. A couple of things to note. You can click on the images to see them full-size. After a strong first and second month, units sold drop substantially. I had 32 sales the first full month, but most months tend to have only 3-9 sales. I hit Copper status (50 unit sold) the third month, Silver (100) the 7th month, Electrum (250) the 26th month. It took 18 months for me to reach minimum US wage ($7.25/hour). Strangely prices seem to drop around December. Apparently we don’t tend to gift adventures? The drop in sales happens across all my products and I spoke to others who see that drop as well. The first sale reduced the price from $4.99 to $3.74. It lasted 12 days and in that time I had 39 sales – more than in the previous 6 months combined! With so many sales, revenue was up as well – again, more than the previous 6 months combined. So, even with the reduced price, this was great. Now, I did promote my products heavily during the sale. That likely had a big effect as well. The second sale reduced the price even lower to $3.34. It was again 12 days long, with 34 sales – just slightly lower, but also lower revenue. Still great. I wish I could set my own sales! After 28 months, my hourly wage is $12.38. Total sales are still not substantial – this can’t be my full-time job. My first Adventurers League adventure, from season 2. Released January, 2016. We again see sales drop after the first two months. I hit Copper (50) almost immediately, then Silver (100) and Electrum (250) within the fourth month. (This AL adventure hit Electrum 22 months faster than my self-published Adamantine Chef). I hit Gold (500) in month 11 and Platinum (1,000) in month 25. I reached minimum wage after 11 months (7 months faster than self-publishing). After 28 months, my hourly wage is $17.50. Not bad! The total sales of $1049.89 is decent, but again insufficient to be a full-time job (and I can’t land an AL adventure more often than twice a year even if they chose me for every season… and I haven’t been chosen to write since season 4!). My second and most recent AL adventure, from season 4. Released June, 2016. Sales again drop strongly after the first month. Sales are even stronger to start with, hitting Copper and Silver in the very first month! I hit Electrum in month 2 – an incredible 2 years faster than with my self-published Adamantine Chef! Gold was reached in month 11, when it was added to the season bundle (that happened much earlier with Howling Void, perhaps why both AL adventures hit gold around the same time). Platinum was reached in month 22. I reached minimum wage after just the second month! After 22 months, minimum wage is a strong $32.11! Total sales are just under $2k. This is where I start thinking this can be worth doing. Unfortunately, it is an AL adventure and we can’t count on landing those even once a year. My second self-published product! I talk about Jungle Treks here, and you can buy Jungle Treks here. A collection of six short adventures written with Eric Menge, I keep half of the revenue, so one quarter of the cover price of $4.99. We released the product October of 2017. I worked harder at promotion for Jungle Treks and we paid for art (but did the layout, editing, and everything else ourselves). My portion of the art costs were only $130 – a very reasonable price made possible because Eric believed in the art and paid a larger share, and because he works on a comic and has artists willing to help us on the rates. We used a few free art pieces as well. The cover was really well received. How much it helped sales, vs the cost, is really hard to tell. Initial sales were very strong compared to Adamantine Chef. This could be due to the tie-in to Tomb of Annihilation. Jungle Treks fits a strong need created by ToA for ways to make jungle exploration and random encounters fun. We sent copies to reviewers and we spoke to a lot of friends to help with promotion. Still, sales do start to decrease before long. We hit Copper (50) and Silver (100) status the second month. That’s fantastic for a self-published product (as of March 2018, 3.85% of Guild products reach Silver)! We then hit Electrum the third month (only 1.36% of products hit Electrum)! Reaching minimum wage is harder because of the art costs and revenue split. Hitting Silver and 100 copies sold at $4.99 meant I covered my art costs, but not my time! (I probably spent 40 hours on this). Without art I would have covered US minimum wage in month 5. With those costs, I just reached minimum wage in month 6. We were part of the first sale in month 5. This spiked sales higher – we sold 94 copies during the 12 days, which was higher than the previous month’s total of 62. Even with the lower price, revenue was our second-highest month. My hourly wage after 6 months is $9.53 without art costs, $7.36 with those costs. Total profit is $441.79 after art costs. One last note. Getting paid by OneBookShelf isn’t that easy. It can take 60 days for payments to clear, so you never have the full amount available to you. And, you pay $2 each time you request a payment. There is a max of $1,000 you can withdraw at a time, so you may have multiple $2 fees. Jungle Treks was my first time experimenting with art. We were fortunate to have amazing art and Eric was kind to cover most of the costs because he believed in art so strongly. I believe in it too… I just can’t afford it. It is very easy to spend $300 on art for the cover. I’ve received a quote of $615 for a cover before and had to turn it down. Honestly, cover artists deserve that and more. I wish I could pay artists what they are worth! The easiest way to do that is Kickstarter, but if you use the Guild you are prohibited from distributing the product in any other way (including Kickstarter). I don’t know how to pay off the art. This problem alone has me considering Kickstarter and using other sales platforms (DriveThru and others) instead of the Guild. I want to support artists! I also want to support the amazing editors and developers. I’m fortunate to have a mother who is an English teacher and I’ve taken many writing courses. But I would love to use the talent our industry has and reward and thank them for all they do for our hobby. The Guild doesn’t let me afford employing people! Are AL Authors Better Off Under the Guild? Over the summer of 2016, Adventurers League admin Greg Marks shared the old pay rates WotC used to pay to AL adventure writers: $250 per 2 hrs of play. An author would receive $500 for a 4-hour adventure (somewhere around .05 per word). It took 13 months for Howling Void to exceed $500 in royalties. I know that those who write key adventures (the first one, the major plot points) saw far larger sales. Now, hold on! Two months in, The Artifact reached $500. Season 4 has ended, but it does seem that for new seasons the royalties can quickly exceed the old freelancer payment. It still isn’t big money, but new AL content beats the old system hands down. I do note that sales go through cycles, with some really slow months and other faster months. Not surprisingly, the spooky Ravenloft season does well in October! November and December have otherwise been very slow for other products. Some other writers have shared information. For a season 2 AL adventure, they had royalties of $319.93 through June ’16. For a season 4 adventure (same season as The Artifact), they had June total royalties of $558.58. This seems consistent with what I have seen. The very first adventures (and major plot points) continue to do well. Shawn Merwin reported on Twitter that Defiance in Phlan (the very first AL adventure) had more than 3,000 sales in the first 2 years! In the comments below several authors share their experiences. Jean Lorber shares his experiences, including how having a Pay What You Want title helped sales of his other offerings. You can find his cool products here. I’ve had a chance to see these adventures and they are really cool! If we look at the Guild, we can see a lot of authors who launch something and then see fairly weak results. However, we also see some obvious success stories. In particular, the success of M.T. Black. He began by writing great adventures at a low cost, then bundling them and offering those bundles at discounted prices. That bundling was very popular. He used free art in most cases, sometimes finding low-priced art. He became one of the first well-recognized names. Over the last year he has refined his approach, now offering higher-priced products such as his Player’s Companion and Elminster’s Guide to Magic, where a lot of the content is written by others and he oversees it (sort of a bundle within a bundle). Elminster’s hit 1,000 sales within 2 months of release, showing the strength of both his model and his hard work. Make no mistake about it, M.T. Black works hard for this success! Another huge success area is becoming a Guild Adept. WotC selects a team of 10 or so authors based on various factors (one of which is publishing on the Guild, though several authors were very new to the Guild and none of the top success stories on the Guild have been chosen). You can see their products here, which are tied by WotC to the current season. All of the products have done really well, including the $20 Xanathar’s Lost Notes to Everything Else, which hit platinum shortly after launch. When the program was launched it was said that the team would be reformed with every new release. It isn’t clear if that is still the plan. Still, I hope that some of the Guild’s best will see a chance to join the team. M.T. Black, Jeff Stevens, Tony Petrecca, and others have really done well on the Guild. Is it better for board games? One friend shares that on their board game print run of about 1,500 copies, they received royalties of about $650. They would estimate they spent about 120 hours on that game. The hourly rate comes to $5.83. There was a second expansion, taking about 50 hours of work and providing $550 in royalties, for an hourly rate of $11.00. These are a few of the products I recommended in the first months of the Guild! Shawn Merwin has written amazing adventures for every AL organized play season and for every organized play D&D campaign over the past 2 decades! Along with organized play author Chris Sniezak, he records the Down With D&D Podcast covering D&D. They have written The Five Temples of the Earth Mother, which clearly is an experiment to see whether they should publish more on the guild. They invested in art, layout, and more with several team members. Robert Adducci frequented Dark Sun forums ages ago, and together we volunteered on many old projects. He created the Athas.org Dark Sun site, which may have been the key reason why WotC saw continued support for the setting and decided to bring it back for 4E! Now he lends an incredible amount of time and passion to Adventurers League as an admin. He is responsible for most of the communications efforts and spends a lot of time helping DMs and players. He has published Monster Codex: Underdark Enemies. James Introcaso has helped revitalize the Tome Show podcast and with a team of knowledgeable regulars and great guests he covers D&D from many different thought-provoking angles. He has published several Pay-What-You-Want items, including 20 New Traps. Portland artist and gamer Jason Behnke has drow priestess art up for noncommercial use. Now he has made a Flumph! Kobold Press has a short adventure, Frozen Castle, expanding on Tyranny of Dragons (which they wrote with WotC) with an adventure about the Cult of the Dragon retaking a fallen cloud castle. David Gibson (The Jester) has made some great contributions to D&D across several forums. I wrote about using his cool 4E tavern brawl ideas. He has several absurdly cheap supplements, including traps, diseases and poisons, and feats. Derick Larson (@wookieedaddiee) has been one of my favorite Gen Con DMs. He has published several low cost products (including cool Cleric domains) and has written about how PWYW is not working for him. Merric Blackman has an awesome blog and has reviewed an insane number of 5E adventures. So, of course I purchased his short Ravenloft side trek, Death in the Cornfields! Thanks for writing this Teos. It’s really useful, and has made me contemplate quite a few things regarding my own writing process and my own perceived value of my work. Thanks! It really makes me want to be more efficient, without sacrificing quality. It also makes me consider lighter releases, where my time wouldn’t be much, but I’m not as interested in those kinds of products. Having purchased (but not ran) Adamantine Chef, I can say that the lessons learned from and structure of Ashes of Athas is quite apparent. There’s roleplaying, combat encounters, and a unique finale that gives players something completely unexpected. I fully intend to run it for my group, but since we rotate DM’s, we have one session to go before I’m up again. I’m saving my official review until after running it, because players can bring more life to an adventure than reading it on my own ever will. So fear not in that regard! As to the contents of this article, I think there a number of excellent points made. Despite all the articles about how to prep less for DMing and roll with things, I still enjoy plotting out my campaign sessions and doing things for players that make them go “wow” when they first see or encounter them in a game. It’s the same thing when being an author and creator. The final version of the product reflects the creativity and passion of the individual, and those are two traits we never want to seem lacking in. After DMing at Winter Fantasy, I have a deeper respect for the authors who create all the adventures, as there are so many variables in how their work is perceived. 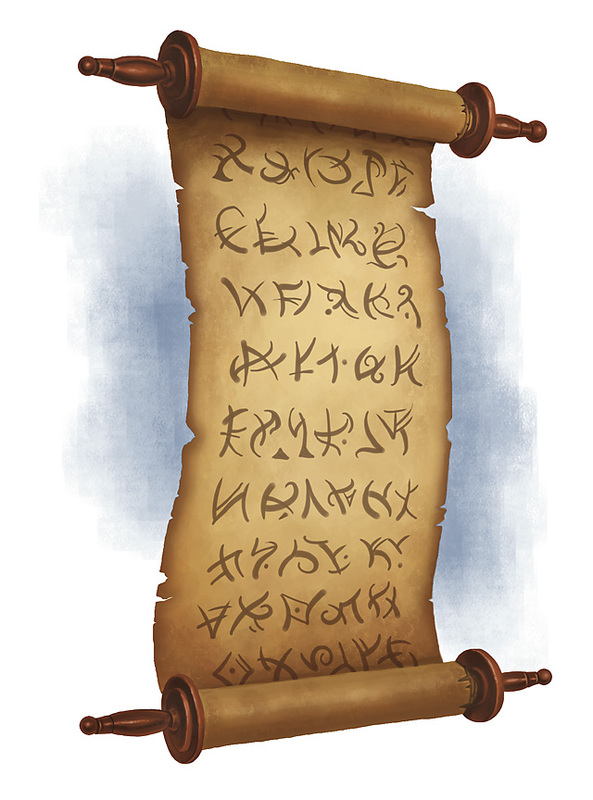 An average written adventure can become the pinnacle of a player’s gaming experience due to an amazing DM, while a poor DM can make that same player never want to see anything written by the author again. With these things in mind, it’s no wonder authors spend hours prepping and thinking about what they are writing and how to constantly improve on it. People have been dogging George R.R. Martin to come out with the next installment of his book, and in reality, the guy is probably second guessing every word and wondering how he can produce his best possible work. While the numbers and payout may not be entirely what you hoped to see, I think time is on your side in this regard for a few reasons. First, you’ve demonstrated numerous times already that you’re a capable author. Ashes of Athas, Vault of the Dracolich, Candlekeep and Howling Void prove that. Second, you’re also a very active member of the D&D community, both online and in person. That to me seems like it would push people in the direction of purchasing it, just to see your continued works. Lastly, I think your passion to write an adventure with a theme that is extremely uncommon in D&D is enough to garner interest in breaking away from the typical dungeon-crawling and epic confrontations. Had you been working on this a few years ago, it would have been a great inclusion for the Dragon/Dungeon food themed month that didn’t go entirely as WotC envisioned. To me, the most important thing to see about this was that it was a labor of love. I was quite surprised to read that some authors didn’t want to finish their Ashes of Athas adventures and asked for them to be completed by the team. I think that the fanbase thinks that adventure writing is a lot easier than it actually turns out to be, and self publishing these titles without help is already a much larger task than some may realize. Lastly, from my own personal perspective, I see the DMs Guild as a way for myself and other aspiring authors and creators to put ideas out there and share them with others. With this, I can take any idea I want and flesh it out, without having to pitch it to WotC and get it approved. While I was fortunate to the Trinket Lord pitch accepted, I spent many other submission periods getting rejections. It’s nice to now have a place to publish and let my idea stand on its own. I’m currently writing my own adventure, and have already spent countless hours brainstorming, outlining ideas, and revising to complete a first draft for playtesting. I’m already thinking I want to charge $2.00, as the length of the module (and the time) makes that seem like a reasonable price to pay in comparison with other Adventurer’s League options. While I don’t know what people will think of it overall, my only hope is that it can do what so many other adventures have done over the years: inspire players to take parts that they like, or turn the adventure on its head and adapt it in a new way for their own use. Like you said, one person raving about how much they love the finished product makes all the creative process worthwhile. Thanks for all you do and create! This is great. I agree with you that as gamers we need to value the hobby more. The only reason my products are Pay What You Want is because I released them in a crappy version on my blog first and promised they’d always be available for free. Your adventures rock! I would pay a lot more for them. I hope others start to feel the same. I think they see $50 for a book every 4 months and don’t realize they shell out that much for magic cards every month. Thanks for the shoutout about the adventure and the podcast! Very kind!!! I hope to have you on The Round Table soon. Good thoughts, thanks! I might release my Halloween campy adventure (available on this site) as Pay-What-You-Want and see if that works. I’m curious what you find people are paying, on average, for Pay-What-You-Want. Well I can tell you that most people pay 0, which I would be fine with if they would leave a rating. For an example 15 New Backgrounds which is most popular product by far has had only 179 paying an average of $1.29 (suggested retail price by me is $2). However the total number of downloads the product actually has is 1132. So just shy of 1000 people have downloaded it for free. I would love if there was a tipping method! Pay what you think it’s worth. If it turns out to exceed your expectations – you can go back and pay more! I would do this if I was blown away by something I couldn’t determine the value of from description. OR when someone undervalues their own product! So that actually IS an option for PWYW on the DMs Guild. You can go back and pay more for the product. You can always purchase a product twice as well to pay for it a second time if the price isn’t too high. I have one title that is PWYW, (Hero Kids, not D&D) and over several hundred “sales” the PWYW contributions have been $5.50, total. In this case, I don’t mind as much because it’s the introductory adventure to the Bayhaven series, so the hope is that it drives sales of other adventures. But I don’t think I’d do PWYW on a product in the hopes that lots of people will contribute a little money each. I was surprised/disappointed that Adventurer’s League content was priced so modestly; as it sets the bar for other content. Hopefully, as more content floods the market, new price points will emerge for content with different amounts of material (ex: modules vs. items vs. character classes). Also, I look forward to dependency on reviews becoming more widespread, in order to filter based on quality. This will hopefully make content like yours more valuable and have a longer lifespan. This is definitely an eye opening article. The creative design process of authors and artists is never really discussed. A product is either wanted or not. Making me think harder about the products I buy. This is always a good thing. Thanks! I recall a similar feeling when I first started volunteering for organized play. I had no idea how much administrators did. It certainly changed my attitude towards them and the kinds of requests I made for their time! Your look at how gamers undervalue RPG content is so telling. I’m baffled by how stingy RPG gamers are! I can see it in myself, too—when I first started playing RPGs, I would always look for a free torrent before even thinking about buying the book. The impetus to devalue roleplaying games has to be the idea that “I can do it myself, if I had the time.” The D&D core books encourage community creations and homebrew, and that’s fantastic! But just as you noted with the Ashes of Athas volunteers, most gamers don’t understand how much effort it takes to create good game content. The biggest danger about all of this is that—as we can see on DMs Guild—it creates a race to the bottom. People who write for games as a second job, let a lone a first, can’t compete with a deluge of free/PWYW content. Remember that the DMs Guild is also being pitched as THE place where Wizards is now more or less exclusively looking for new designers. If you’re unknown and have no following, one of the best ways to get eyes on something is to give it away for free. It’s an investment a new writer hopes pays off in the long run. It’s not necessarily people undervaluing their work. It’s folks who want to get noticed trying to make a small splash in an industry with few consumers, most who don’t want to spend money on the hobby. One big question I have is if all the publishers and indie designers decided at once, “Ok we’re going to raise our prices,” would consumers say, “Dang. You got us,” and pay more or would they say, “Go to heck,” and start stealing? Terrific post – thanks for sharing! Some very interesting comments too – I have long suspected that “pay what you want” for many gamers equates to $0 . $4.99 seems like a very reasonable price for a good quality adventure so I think you’ve made the right call. I’m working on a 12,000 word adventure at the moment which will take me well over 100 hours to write, revise, playtest etc and will be commissioning professional art. To break even I will need to sell 150+ copies at $4.99 which isn’t at all easy but I think will be doable. Writing and publishing D&D content is very much a labour of love for me too. I have three AL modules up on the DMs Guild. After one month of sales, I’ve earned the same amount of cash as I received up-front for one module. Given that the modules were already released to stores for free, this is encouraging – and a lovely surprise for writers who’ve already been paid! – My season 1 module outsells my season 2 modules almost 2-to-1. Is this because people are still playing Tyranny of Dragons, or do they just want to start at the beginning? – Almost all sales come from the bundle pack. – Sales peak dramatically at weekends (understandable), and naturally drop off over time. Today’s daily average is less than half what it was two weeks ago. Note that Wizards of the Coast doesn’t plan on paying authors upfront for future AL work, relying instead purely on DMs Guild revenues. That’s win-win for them, so I can see why they’re doing it! And assuming there are 350+ stores out there willing purchase a single copy for AL play, it’s of greater benefit to the author too. That seems like a lot of stores, but now modules are available for homeplay too it’s much more feasible. – Award “Curator” status to star reviewers. They get a badge next to their name, and store credit for reviewing items. – With curators, the front page of the store could display a “featured” section of highest-rated products compiled from curator reviews. – Buyers could follow curators to receive email notifications every time they post a new review. Hopefully that would give people greater impetus to open their wallets for higher-priced products! As a new/no-name author I have one adventure, Troll Trouble, up on the site. It has been up since 1/20 and is PWYW. Of the 381 people who have picked it up, 12% (46) have payed for it with an average $1.20 price. If I was to calculate effort verses revenue it is roughly $1.81/hour. So for me this is clearly more about getting my name out there and seeing if people like my stuff rather than an income opportunity. I’m also seeing a trend where the effort required is going up due to competition. Nearly all of non-AL products that sell well have art and fancy covers which is a huge investment in time assuming authors have the skill to pull that off. Putting out an adventure as I did using just the standard template will struggle to stand out. Good stuff. Thanks for sharing… very helpful for someone considering contributing. I only guessed right on the ‘how long’ poll because my DM gave me a glimpse of his writeup for the one-shot we playtested the week before last. Until I saw it, I’d had no idea how much of the material he’d written from scratch. I’m curious what kind of bump you will see in sales as a result of this article. If you can suss that out, let us know. Your tone and the numbers you provided are very insightful. This made me change the way I look at the online material as a whole. A great article overall. I do think, though, that your discussion of how much gamers value the hobby doesn’t completely cover the market impact. Many of us simply can’t play everything out there. Between family and jobs, I’ve had to work hard to set up a twice-monthly session. From an economics standpoint, viewed from the consumer side, the question is: What’s the cheapest high-quality adventure (that fits my group’s needs) available that I haven’t played yet? Whether the cost is high enough to justify the author’s effort isn’t relevant to the average consumer in the short term, as long as such adventures continue to be available. That said, I try to throw a little extra money to the authors of products I use and enjoy. But it seems to me that anything on the DM Guild site priced above the the AL adventures will have to struggle hard to prove that it’s “superior” in some way (before being purchased) or else limit its market to those who have played through all the AL adventures they think they would like and still have more play time. This was a very interesting read. I was thinking of writing an adventure for the DMs Guild and this has helped me understand what to expect. Also I want to say I’m happy to find this website. When the forums were still up I was a follower of your blog and insight on Dark Sun. Keep up the good work, Teos. Thanks so much! I really appreciate that. If you publish for the Guild, let me know! OK, so I am firstly ecstatic that there is finally a place for us ‘wannabe’ writers to publish our creative content, even if there’s only a few $$$ in reward for it. I do believe that this is only the tip of the iceberg though and DM’s Guild has to be very very careful with the quality of the content being published. I have seen, paid for and read many titles on DM’s Guild and find their quality to be very hit and miss. Also there is a distinct lack of appreciation for anything which has personality or when it goes against the grain. So far I have found that so long as DM’s Guild extracts 50% of all sales then the level of professionalism will continue be low and attract opportunist/hobby writers which ultimately will drain what’s left of the buyers trust that they will be downloading a good, well thought out and written adventure. Give the writers a larger incentive or find better ways to highlight the best content and this site will continue to grow. Otherwise some one else will come along and do a better job… which let’s face it won’t be that difficult. Hi there. My name is Jean Lorber, and I’m a neophyte to the DMs Guild and RPG publishing overall. Teos’ post about his publishing experiences was really useful to me, so I was happy to oblige when he asked if I wanted to add my experience to it. 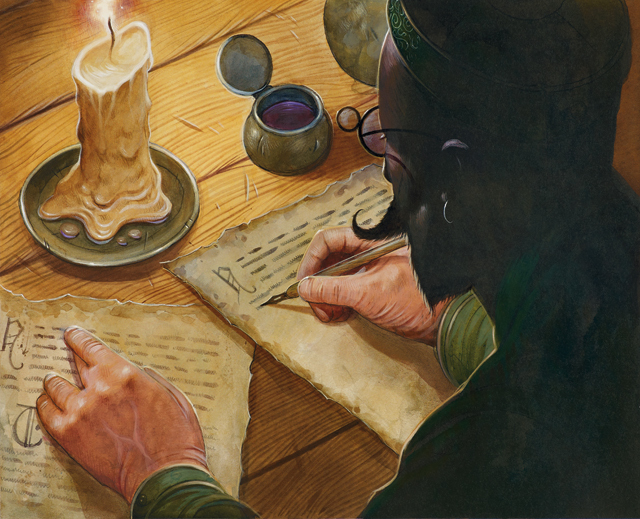 Below are a few notes about my strategy for writing for the DMs Guild, as well as a couple of interesting patterns I noticed regarding my sales over the last few months. To date (7/25/17), I’ve written a short adventure (‘Kurtulmak’s Revenge’), and 2 collections of encounters (‘Volo’s Lost Encounters’, ‘Unstuck Encounters’). My adventure never really went anywhere (22 sales), but my encounter collections have done a little better: Volo’s is a Copper seller and Unstuck is about to hit that mark, too. Not a career-maker, but an ample reward for a first-time writer. 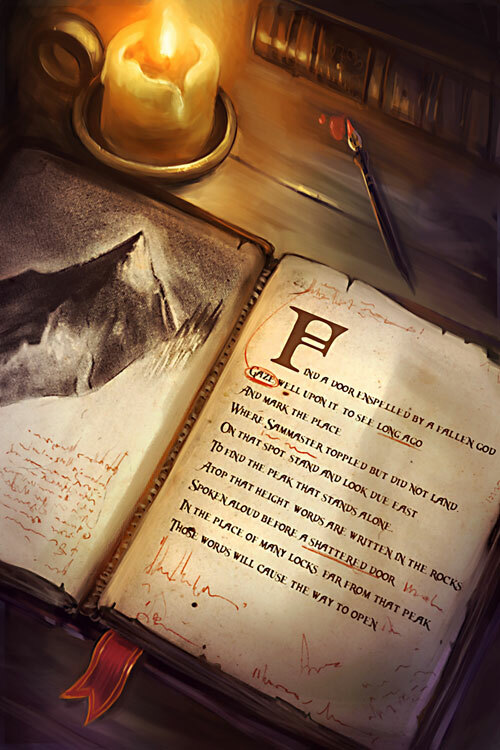 I wrote Volo’s because the source material (Volo’s Guide to Monsters) was so inspiring. It really fleshed out some iconic D&D species, and provided a lot of great material for how to imaginatively use these creatures in the game. So that’s what I tried to do in my publication. At 27 pages, with a number of hand-drawn maps, stock art, and a commissioned cover, I initially priced the publication at $2.80. Just a guess on my part, really–there’s a lot of variation out there, including wonderful publications for free (I’m looking at you, Nerzugal). After a month as PWYW, I switched ‘Unstuck Encounters’ to the minimum price allowed of $0.50. I left it at $0.50 for about 2 weeks where it dropped to less than 1 download per day (down from 9/day when it was PWYW). Towards the end of that 2-week period, my biggest “dry spell” for selling ‘Volo’s Lost Encounters’ began: a week without a single sale. I then changed Unstuck back to PWYW, it’s numbers went back up, and Volo’s started selling again. These two patterns could just be coincidence, but I think they’re related. One other anecdote: I saw a nice bump in sales of Volo’s after I got good marks from a well-known reviewer (Merric B.). I contacted a number of reviewers to make them aware of my publications, and thankfully Merric took a look…and he liked it! Volo’s had been selling an average of 1 unit/day for its first week. Then, Merric’s review was published, and on that day, sales went up 700%!!!! That’s only 7 units, but…700%!! (I love statistics). Sales stayed a little higher for a few days then returned to around 1/day again. So don’t be afraid to seek out reviews, just be prepared for constructive criticism, and don’t expect everyone to have time for you; the quality D&D bloggers and podcasters are already busy folks, putting out other content you probably consume. So far, I’ve really enjoyed the whole process of creating D&D content: writing, drawing, designing, editing, and even marketing. For this amateur, the DMs Guild has been a great creative outlet. It’s a real thrill to feel like I’m connected, in a very small way, to the game I’ve enjoyed since the 1980’s. Cheers! Thanks to you an all the other commentors that have shared their data. Here are my main two takeaways. 1) Don’t do PWIW if you want to earn anything. 2) And this is the bigger one. Wizards needs to take a smaller cut on products released on the guild if they want to keep writers on the guild. I generally agree on number 1 (though, see Jean’s comments on how it can be used to push other sales)! Number 2 is trickier. The larger percentage is to OBS. I would really like to see OBS provide us with more tools to help us, especially since they have many more tools already present on their other sites. When they announced that creators on the Guild could no longer use logos (and other branding) on the cover, it was the first thing they had said to creators in 2 years… and it was to make it harder for successful creators to be identified. I’d hazard a guess that the logo decision came from WotC lawyers, not OBS. I’ve worked with WotC for so many years that I find no reality to the concept of “WotC lawyers.” The last decade or so they have not been some active element in the company – staff have to go to them to get them to deal with something. Hasbro also doesn’t have some enormous big brother oversight, the way some ‘fans’ like to imagine. I could guess at why the change came, but it clearly wasn’t some big deal or it would have been done a year ago. The sloppy way OBS communicated the change (if you call that communication) really makes it hard to figure out what they are thinking or why the logo change happened. Maybe the vision always was to have the Guild site be a “authored by the Guild” type of cover, and the arrival of big sellers with their own brand was unintended. I really don’t know. But, I don’t grasp the reasoning for the change. Branding will actually increase sales and appeal, because the various authors/groups will advertise to bring people to the Guild. And, maybe, the vision is that this is a site for amateurs to sell. We do see that most major players (Green Ronin, Kobold Press, etc.) have completely given up on the Guild. The level of attention they can command is not there. Even they haven’t figured out how to get the success M.T. Black has attained and the overall profit has to be brutal compared to selling using just the OGL and their own store site. So, maybe it’s a platform for amateur work and any rules around it are meant to reflect that? It’s hard to say. Regardless, I would not blame any of it on lawyers. Always interesting to see your updates to this! I was confused by the 60 day wait for payments from OBS. Is that a DM’s Guild thing? I can cash out from OBS whenever I like and get paid via PayPal with a $1 (rather than $2 fee) on DriveThruRPG, get a bigger cut of sales (65%), and have access to several useful marketing tools. If you don’t want to use Wizards IP or write for AL for your next project , it might be worth trying out Drivethrurpg/RPGNow to see what happens. It does seem to be a specific change OBS implemented for the Guild. Someone said it may be possible to pull money via DriveThru and get the lower fee without a delay, but I have not tried that. I likely will try a different approach next time. I actually advocated that for Jungle Treks, but for various good reasons Eric wanted to try the Guild first. I definitely think it makes sense for Jungle Treks to be on the DMs Guild along with the Guild Adept ToA tie-ins. That would almost certainly have helped sales. This entry was posted on February 15, 2016 by Alphastream and tagged Authoring.